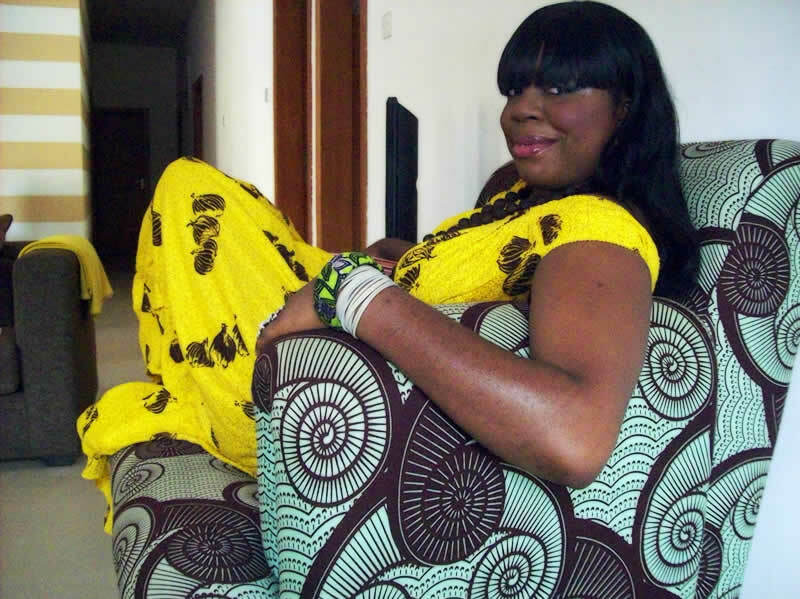 During my childhood, I remember that when women got dressed to go out for parties and events, they donned the traditional lace buba and iro (blouse and wrap skirt) associated with the South-Western part of Nigeria or the lace/satin blouse and “george” fabric wrap skirt associated with the Eastern part of Nigeria. 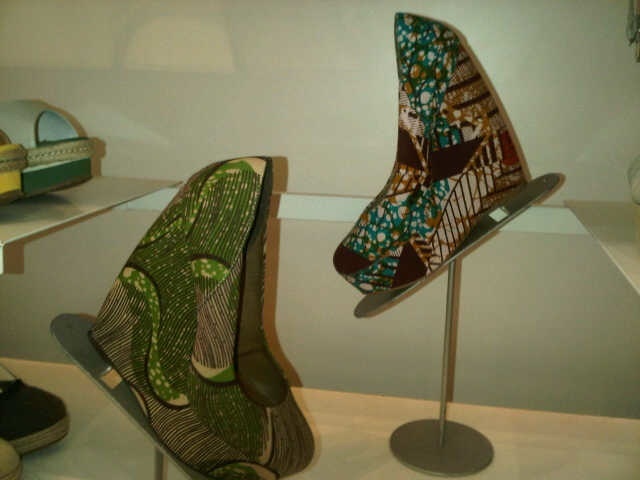 Accompanied by towering head-gear of all shapes, colours and sizes, beads, gold trinkets and coordinating hand-bags and footwear they represented the height of Nigerian fashion. A little later on, influenced by Senegalese fashion, the Boubou, a billowing Kaftan-like attire made from batik and tie-dyed fabric and matching embroidery work around the neckline and hems, stormed the fashion scene and women wafted around in these gargantuan (often) heavily starched attire. I often thought in my head that one could get concussed if one were to run into these starched contraptions, thankfully I was never unfortunate enough to test the veracity of this thought. 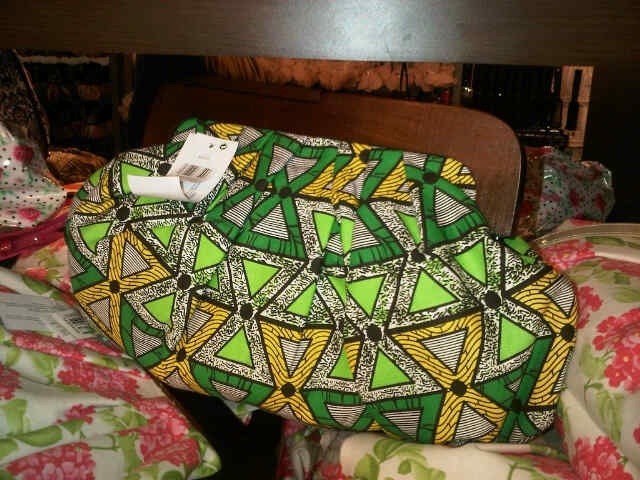 The colourful fabric known as Ankara was considered to be cheap and very unfashionable. It was reserved for hard-done by folk who could not afford the lavish lace and george fabrics. It was never a fabric that one could wear on an outing. Today, however, Ankara has literally taken on a different life form; we simply cannot seem to get enough of it. Almost every Nigerian designer from “Jewel by Lisa“, “Zebra” to “Ituen Basi” use it in their collections in the most amazing ways. It has featured on runways abroad and at home, it is everywhere; I mean everywhere. 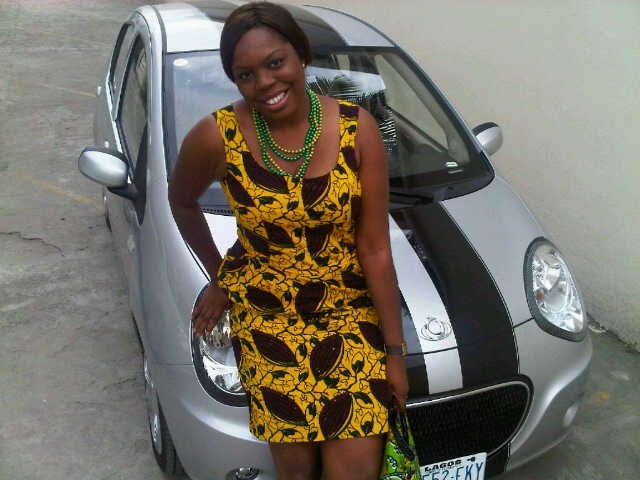 The lowly rejected Ankara is now a mainstay in every woman’s wardrobe. 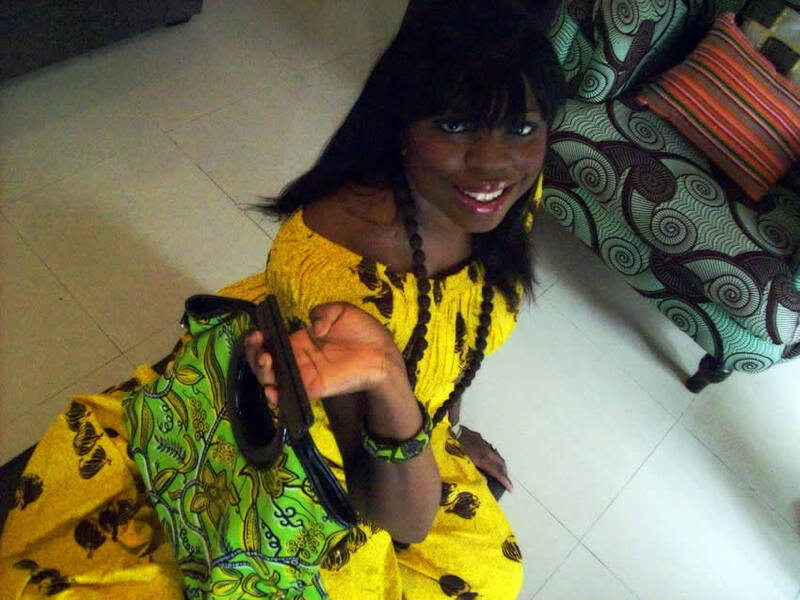 It is quite an interesting turn around as I remember that the first time I wore Ankara, I hated it. It was my grand mother’s funeral and the family was bedecked in this putrid brown Ankara fabric. To make matters worse, one of my aunts had the bright idea to make mine into a Boubou; a double fashion faux pas to me! Thankfully, I survived that era and now I am enjoying the Ankara renaissance. The versatility, the colours and the patterns have given rise to so many possibilities. It can be beaded, sequined and bejewelled. Ankara clothing are made for casual wear and formal wear; it is popularly worn to events like weddings, coctails and the beach; “Da Viva” has a collection of Ankara bikinis made by “Patience Please“. Its status has even be elevated for use in upholstery of avant guard furnishing (Zebra Living makes the most amazing chairs and ottomans covered in Ankara) and it is also used to make footwear, necklaces and ornaments which have been made popular by Ituen Basi. Not to be left out of this raging trend Aldo shoes in the UK now have two pairs (of decidedly unattractive – in my opinion) ankara-covered wedges on sale. 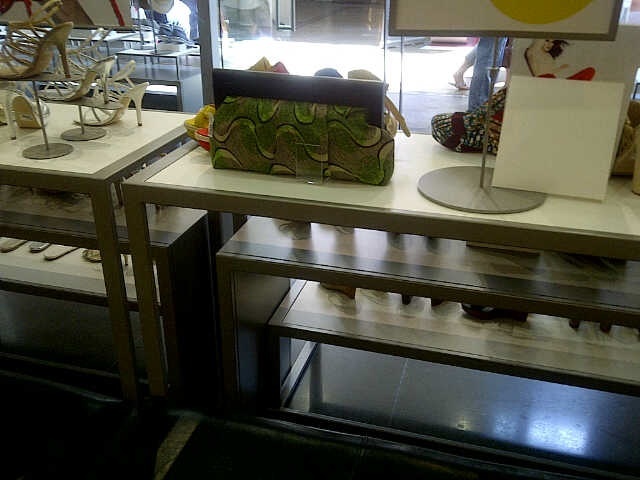 Some of the trendiest hand bags are now made partly or entirely of Ankara. 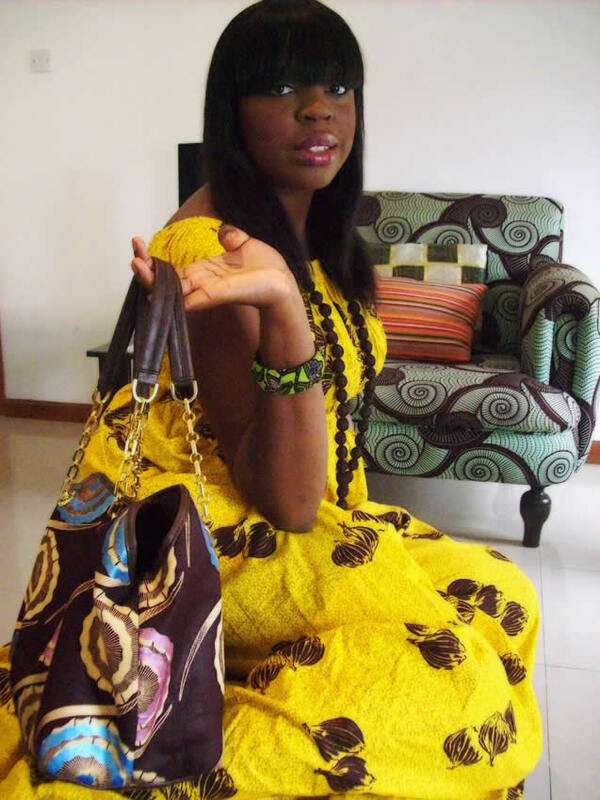 Tiffany Amber has a new collection of leather and Ankara Birkin inspired bags and yours truly is the proud owner of some really trendy arm candy made from the ubiquitous fabric (pictured below).